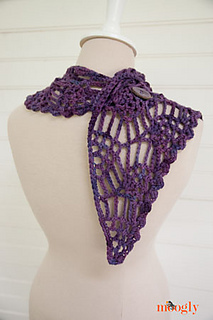 The stitch pattern reminds me of ripe blackberries or strawberries, and the color just adds to the yum factor! 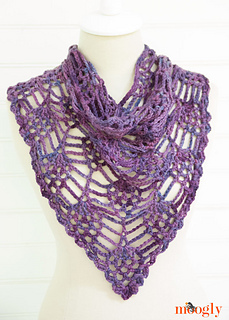 The Berry Harvest Bandana Cowl can be draped lightly across the shoulders like a lacey shawl, or you can add one button to hold it on for hands free bandana cowl style! With a coat, sweater, or even a t-shirt, it is a great go-to piece for this autumn and winter! 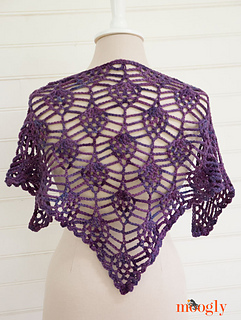 Updated with a video tutorial and crochet symbol chart 10/1/14!